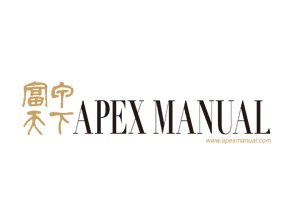 Apex Manual is an“ Ultra Luxury Lifestyle Magazine ”targets at the high networth individuals in China. It is a monthly publication published in simplified Chinese about the “ Exclusive Enjoyments and Ownerships in life ”of either extraordinary luxury items or one-of-a-kind that is rare to find or items that will amuse even the most discriminating individuals. Apex Manual is a magazine for the discerning few.